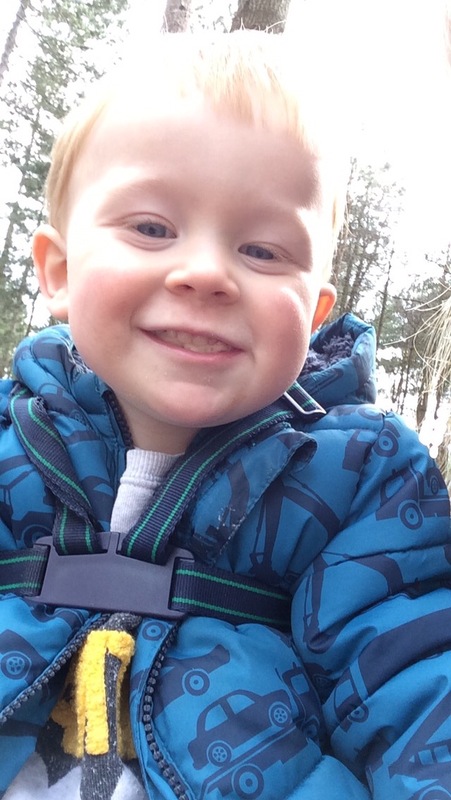 Hunting for The Gruffalo, fresh coffee and a 4G Signal at Sherwood Pines. I think it was around 10pm last Saturday night when my mum bought me a fancy gin cocktail at a party we were attending in Leeds. It was a rare child-free evening for me and the highlight of my whole night was getting to spend the night away from home at my mum’s in a double bed to myself. You may not know me, but I am a reluctant co-sleeper, so a child-free bed a was a dream – an absolute dream. However, this post isn’t about that. I think it was around 6.45am last Sunday morning when I woke up blurry eyed with the remnants of the previous night’s makeup still clinging to my eyes. Stretching out and enjoying the space of a whole bed to myself, the sudden pang of guilt hit me as I realised that I was missing my children (and Teaching Dad, of course.) The lie-in I had promised myself, therefore, ended abruptly as today I had made plans with a friend to take our children Gruffalo hunting at Sherwood Pines. This was, I thought, not only the perfect way to get re-balance the scales after my abandoning them for the night (Teaching Dad made the guilt hit even harder when he told me that our son was screaming for me in the night), but it would also be the perfect opportunity to try out my very amateur photography skills using my new camera, which in my opinion, is the best compact camera Panasonic make. And so a text was sent to Teaching Dad asking for the children to be dressed and ready for the off by the time I arrived home. I also asked him to get some bread out of the freezer in order for me to prepare some packed lunches. ‘We haven’t got any bread’ came the reply. Hmmm. Well, at least they would be dressed. Running at me their pajamas when I arrived home, I was greeted with joyous cries of “Mummy! Mummy!”, which was lovely. The only problem: it was 9.40am and we had to be out of the house by 10.30am. I needed to get the kids dressed and get myself ready for the off also. It would be okay, however, as I would have Teaching Dad helping me. “I’m off to do ‘The Big Shop! '” was all I heard from downstairs as a door slammed shut and a car engine roared into life. However, by 10.25am the car was loaded with the essential Gruffalo finding kit: an Amazon Kindle Fire, a Sat Nav, a spare pair of boots, a towel and a pack of Tropical Skittles. Do a weird side smile if you’re excited! 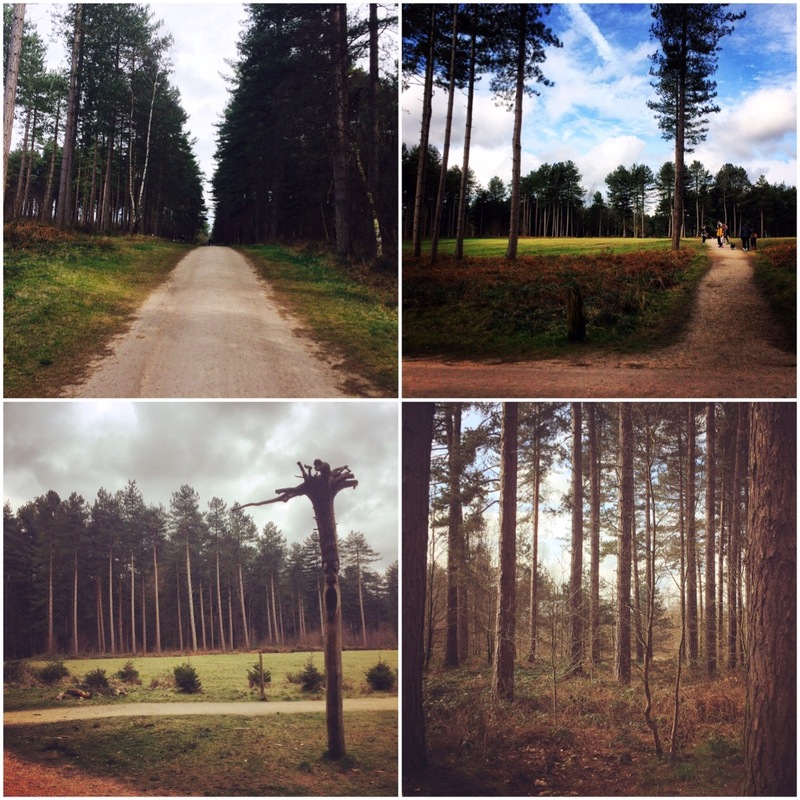 After meeting my friend and a 50 minute car journey later, we arrived at Sherwood Pines. The thing we noticed first was the fact that there were lots of bikes and scooters and not many pushchairs. Now all we had to do was find the start of the trail. 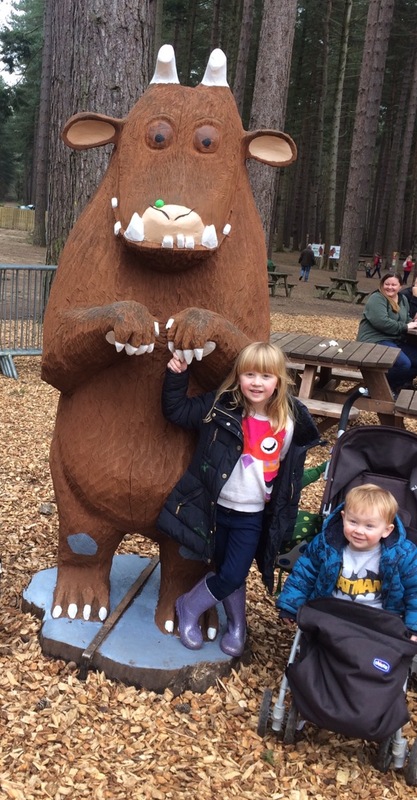 You would have thought that the huge Gruffalo signalling the start of the trail would be easy to spot, but it wasn’t and therefore we took a few wrong turns before seeing large numbers of excited children and parents gravitating towards and area that we were actually walking away from. Finally, from behind the cafe, we saw The Gruffalo himself beckoning us towards him and the start of the trail. Alas no. On we trekked to the trail opting for the ‘Spotting’ option as opposed to the ‘Orienteering’ option, which, we feared, might mean using ordnance survey maps, a compass and, perhaps, some caving. Yes – caving! 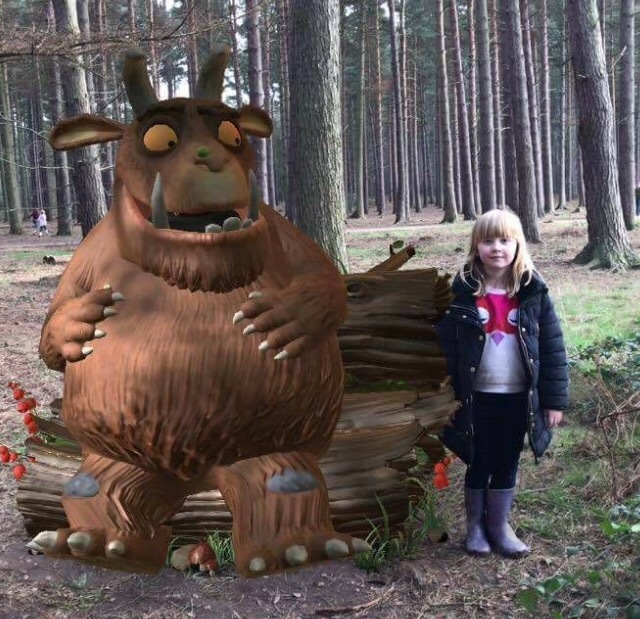 Some genius inventor person has created an interactive app for The Gruffalo Trail, which requires you to hunt for the footprints of all the characters in the much beloved story. The first set of tracks we found belonged to Mouse. Excited, my friend and I grabbed our phones while our children were nearby screaming the word ‘snake’ at a tree trunk. Immediately, her app burst into life and an animated image of Mouse popped up on the phone; it was great. My phone, however, just remained it’s usual cracked and crappy self. Already being on its last legs, the thought of finding imaginary animals in a forest was just too much for my iPhone to handle, so it responded by switching itself off. I think we managed to find Fox, but Owl, Snake and, of course, The Gruffalo alluded us. To be honest, my daughter didn’t seem to mind so much because recently she has developed an innate fear of her brother running off. Despite him having reins on, she could be seen chasing after her younger brother and tackling him to the ground any time he went further than 30 centimetres from us. This, I know, is very loving and kind and it’s a beautiful thing when a sister cares so much for her younger sibling. However, it’s also a royal pain in the arse. Therefore, to the parents who had to experience me shouting: “Get off him! Get off him or we’re going home!” over and over and over again whilst you were trying to get a decent picture of Snake slithering out of his log pile house, then I apologise. How clever is this? Image is not from my phone as it had packed in by this point. The deeper and deeper we got into the trail, the more difficult it became to manoeuvre the pushchairs around the now deadly terrain. With mud splashing up onto the pushchair’s foot muff, we were worried that we had accidentally stumbled upon the orienteering trail. But, lo and behold after finding The Gruffalo, (well, I actually didn’t, but let’s not dwell on that…) we caught a glimpse of the cafe at the start of the trail. Yes! Coffee and sandwiches were on the horizon. Alas, so was the biggest queue I had ever seen. Looking like Snake from the log pile house, the queue outside the cafe was snaking its way around the play area. We found a seat at a near by table and admired the beauty around us. Sunday was an almost perfect spring day. The sun was shining; the temperature (for the first time this year) was bearable. 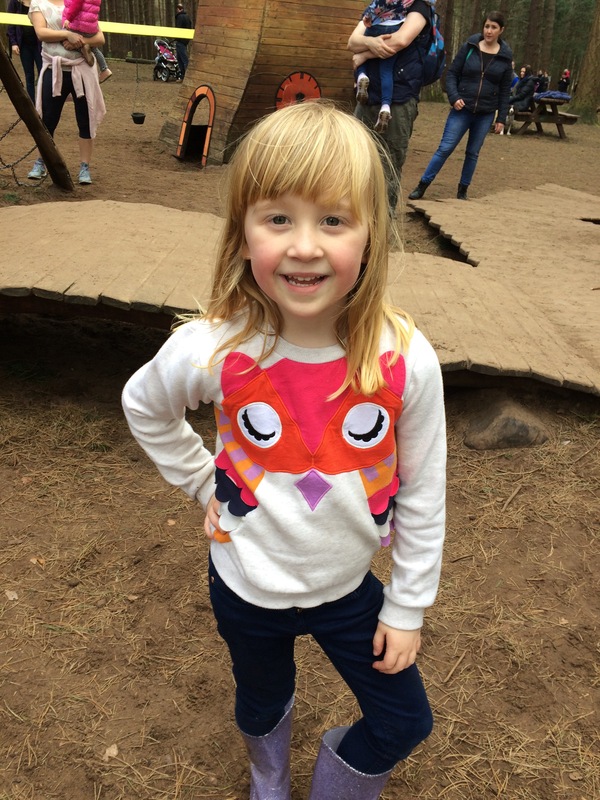 Between eating cake and changing nappies on a wooden picnic table (yep we were like Bear Grylls with Pampers), the children all managed a run around the small play ground area. Well, I say run, but every time my boy made a mad dash for one of the little mushroom houses, he was tackled to the ground by his sister, who was afraid he would go running off back into Fox’s underground house. A rare picture of my daughter NOT tackling her brother to the ground. Finally, after a couple of hours, it was time to return to our respective cars. 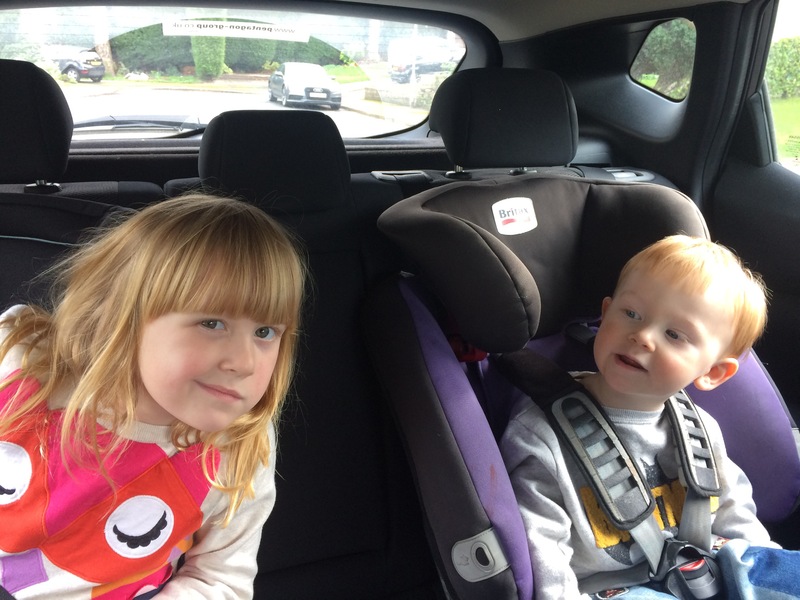 Tiredness was beginning to creep in (on me, not the kids – they were wired on birthday cake and Fruit Shoots) and it was time to begin the car journey home. We left in the promise that we would return soon with Teaching Dad in tow, a bike, a map and a compass and that we would tackle the orienteering trail. Well, the kids would anyway. My plan was to tackle that cafe queue and try to get a hot coffee while hoping for a 4G signal so that my damned Gruffalo app would work. After all, there’s a mouse, a snake, an owl and a Gruffalo still waiting to be found. Disclaimer: This post was written in collaboration with Panasonic. All views and opinions and hysterical (!) musings are my own.